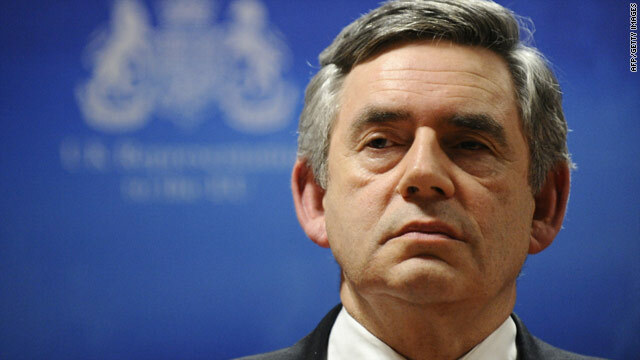 British Prime Minister Gordon Brown said the attempted bombing of a U.S. airline on December 25 was a "wake-up call." Brown says the UK will explore the "most sophisticated devices"
London, England (CNN) -- UK Prime Minister Gordon Brown has ordered a full review of security measures at UK airports following the attempted Detroit plane bombing on December 25. In a statement published Friday on the prime minister's official Web site, Brown said the UK government will be working with the U.S. to "examine a range of new techniques to enhance airport security systems beyond traditional measures, such as pat-down searches and sniffer dogs." These new measures might include using "explosive trace technology, full body scanners and advanced x-ray technology." Writing on the first day of a new decade, Brown issued a reminder of the ongoing threat posed by international terrorism. Video: Best security in the world? "The new decade," he said, "is starting as the last began -- with al Qaeda creating a climate of fear. These enemies of democracy and freedom... are concealing explosives in ways which are more difficult to detect." The Detroit incident highlighted an "urgent" need to tighten airport security measures, Brown said. "The UK," Brown said, "will continually explore the most sophisticated devices capable of identifying explosives, guns, knives and other such items anywhere on the body." The alleged plane bomber, Umar Farouk AbdulMutallab is believed to have concealed explosives in his underwear. The 23-year-old Nigerian is thought to have linked up with an al Qaeda group based in Yemen after attending the UK's University College London. Brown said the plot was a reminder of al Qaeda's increasing influence away from "better-known homes of international terror such as Pakistan and Afghanistan." Yemen is becoming "a major new base for terrorism" which highlighted the need for "enhanced cooperation" between nations in the fight against international terrorism, he said. Brown added that the UK government is already supporting the government of Yemen's efforts to tackle terrorism and pledged further support. "By 2011 our already announced commitment to Yemen will exceed £100 million ($160 million), making the UK one of its leading donors," he said. It was also announced Friday that Brown had invited "key international partners" to a meeting in London at the end of January to discuss how to counter radicalization in Yemen. "We have already updated our counter-terrorism strategy to include further measures to disrupt al Qaeda's leadership and frustrate its attempts to recruit, train and direct a new generation of terrorists or to find a new haven for those leaders displaced by the efforts of our Afghan and Pakistani allies." The key to tackling terrorism was "vigilance" Brown said, but the Detroit incident was "a wake-up call...not just for security against terror but for the hearts and minds of a generation."